Just Want The List Of Facebook Ad Tools? 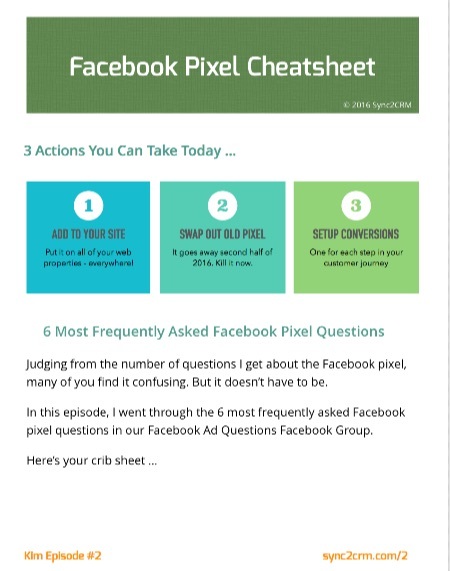 Facebook ads take time but with the help of these great Facebook ad tools you can streamline the process. Unless you’ve been living under a rock, you know the potential of Facebook advertising for getting new leads and growing your business. But, while working with small business owners to implement Facebook advertising, one thing has become increasingly clear. Successful Facebook advertising takes time … And time is something small business owners have very little of. Fortunately, there are plenty of great tools out there that can help streamline the process. And I’m a self proclaimed app nerd. 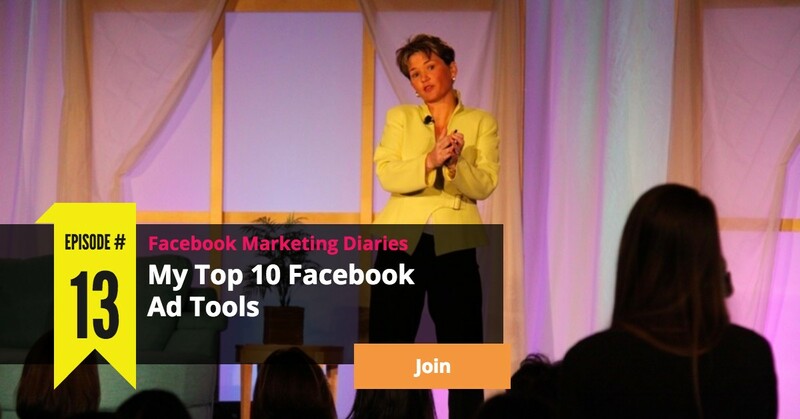 So, in this week’s episode of Facebook Marketing Diaries, I will run down my top 10, must-have Facebook ad tools. These are the ones I use day in and day out. I’ll tell you what I love about them and how you can use them to get better results from your ad campaigns … faster. 15:09 – PrettyLink Pro Pixel Hack! Looking For This Week’s Cheatsheet? In this week’s Episode #13 Cheatsheet, I have rounded up all the notes, links and resources from the broadcast so you don’t have to worry about taking notes or missing anything.